PWork Wargame have released the Lands of Mars Gaming Mat for your sci-fi gaming needs. Play on the landscape of the Red Planet, characterized by sand, craters and canyons, among plains of reddish sand and long canyons carved thousands of years ago by rivers of water now dry! 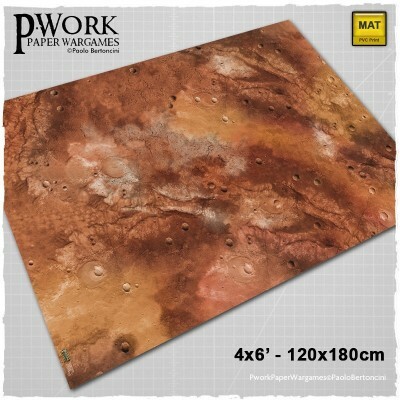 The Gaming Mat Lands of Mars is a PVC or CLOTH roll-able terrain mat, ideal for wargames, in size 4×6’ (122x183cm), 4×4’ (122x122cm), 3×3’ (92x92cm), 3×6? (92x183cm), representing the scenery of the Red Planet, characterized by sand, craters and canyons. The Gaming Mat Lands of Mars offers the possibility of setting battles between armies of miniatures among plains of reddish sand and long canyons carved thousands of years ago by rivers of water now dry. The mat is a perfect Science-Fiction setting for futuristic game play on the Red Planet! Are you ready to battle? You can choose Lands of Mars printed on high quality PVC or on synthetic Cloth, its awesome graphic grants a wonderful and great-looking setting for your favourite wargames. Pwork Wargames Lands of Mars Sci-Fi Gaming Mat is available now! Lands of Mars offers the possibility of setting battles between armies of miniatures among plains of reddish sand and long canyons carved thousands of years ago by rivers of water now dry. The mat is a perfect Science-Fiction setting for futuristic game play on the Red Planet! Are you ready to battle? 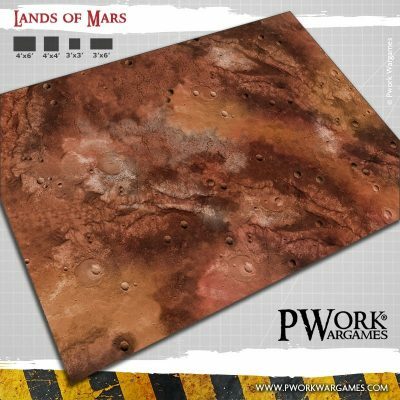 PWork Wargames newest gaming mat, Lands of Mars, is now available for purchase. 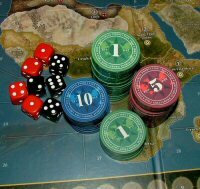 The Game Mat Lands of Mars is a PVC or CLOTH made roll-able terrain mat, ideal for war games, in size 4×6’ (122x183cm), 4×4’ (122x122cm), 3×3’ (92x92cm), 3×6? (92x183cm), representing the scenery of the Red Planet, characterized by sand, craters and canyons. The War game Mat Lands of Mars offers the possibility of setting battles between armies of miniatures among plains of reddish sand and long canyons carved thousands of years ago by rivers of water now dry. The mat is a perfect Science-Fiction setting for futuristic game play on the Red Planet! Are you ready to battle?